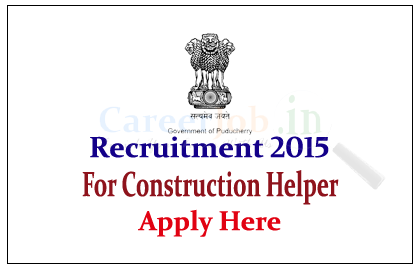 Electricity Department Government of Puducherry is recruiting for the post of Construction Helper for the year 2015. 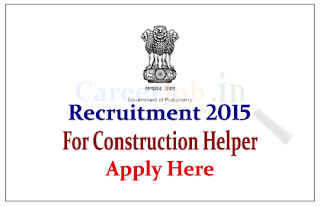 Interested and Eligible candidate can apply here on or before 06th July 2015. The Electricity Department of Government of Puducherry is a deemed licensee under Section 14 of Electricity Act, 2003 and is carrying on the business of Transmission, Distribution and retail supply of Electricity in Puducherry, Karaikal, Yanam and Mahe Regions of the Union Territory of Puducherry. Eligible candidates can send their application to below mentioned address on or before 06.07.2015. For more details kindly check official Notification.